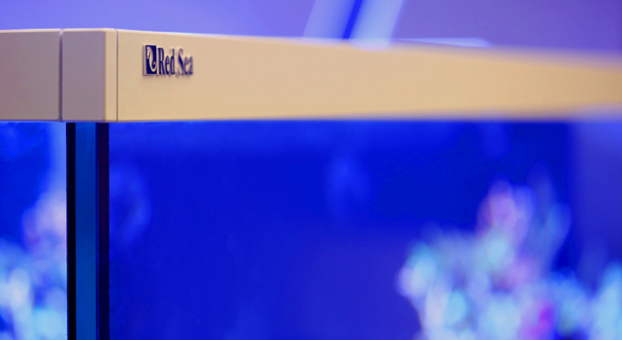 Owning a thriving piece of coral reef has never been easier than with Red Sea’s new MAX® S-Series range of aquariums. MAX® S systems are available in Pearl White and Black. 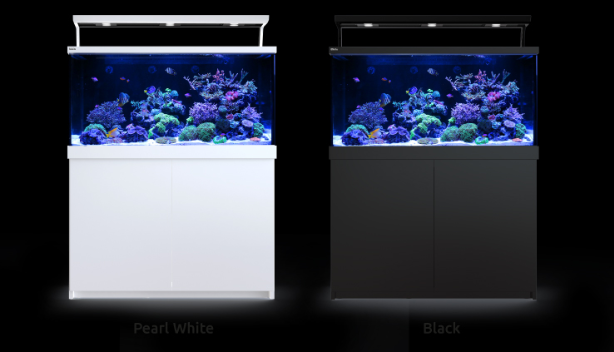 The cabinet side panels and doors are attached to a marine spec aluminum frame and can be replaced at any time, allowing renovation or a complete color change on a functioning aquarium. 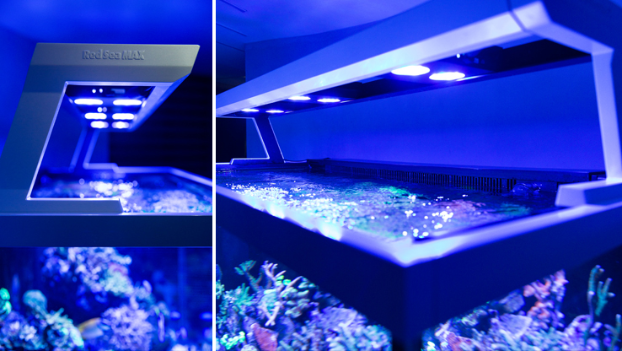 This feature combined with the replaceable trim on the light and aquarium adds an unprecedented level of longevity and flexibility. All external surfaces use weather resistant polyurethane paints (similar to those used in the car industry) giving an elegant and durable finish. 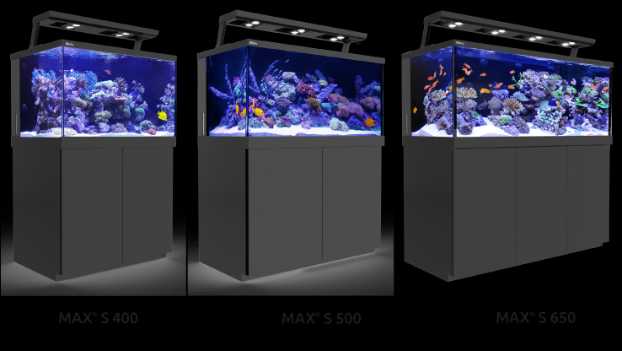 MAX® S-Series aquariums are constructed from 12 – 15mm ultra clear (low iron) glass supported by saltwater resistant plastics and a marine spec anodized aluminum frame. Designed for simple home assembly, all of the gluing, sawing and wiring has already been done for you. The Hydra 26™ HD unit offers a full spectrum, 7 color LED configuration giving great colour rendition and a multitude of lighting effects. The revolutionary control system dynamically adjusts the power available to each color by utilizing power not being used by other colors, effectively enabling selected channels to be ‘boosted’ to above 100% output. The lighting is fully controllable via a built-in WiFi which is compatible with iOS and Android devices and with any WiFi-enabled Mac or PC. 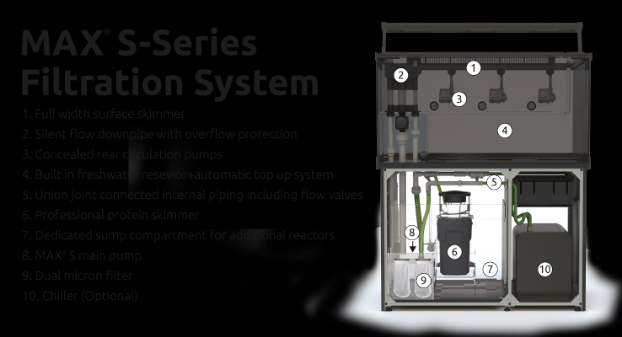 The complete reef filtration system starts with the surface skimmer that feeds the water to the in-cabinet sump via a flow-regulated, silent flow down-pipe. 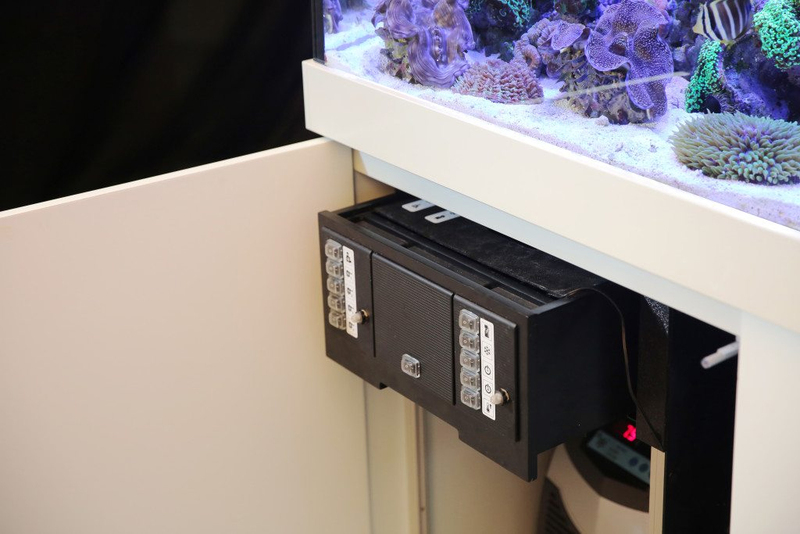 The filtered water is returned to the aquarium by a main system pump that also supplies water to all of the filtration systems such as the protein skimmer, an optional chiller and/or reactors. Price includes FREE SHIPPING! anywhere in the Continental USA only. Item usually ships within 10 days after payment is received. Ships directly from RED SEA, and includes all warranties. This item comes via freight truck delivery, in a large crate . Freight company will contact you directly to arrange delivery time.